I love their sense of irony down here in Devon. They call our local pub the New Inn. New Inn? It's a thirteenth century coaching inn ... so to my way of thinking there's nothing remotely new about it. Maybe the explanation is that it was just a little bit newer than the cave down the road where Bronze Age man used to brew up his fire water. 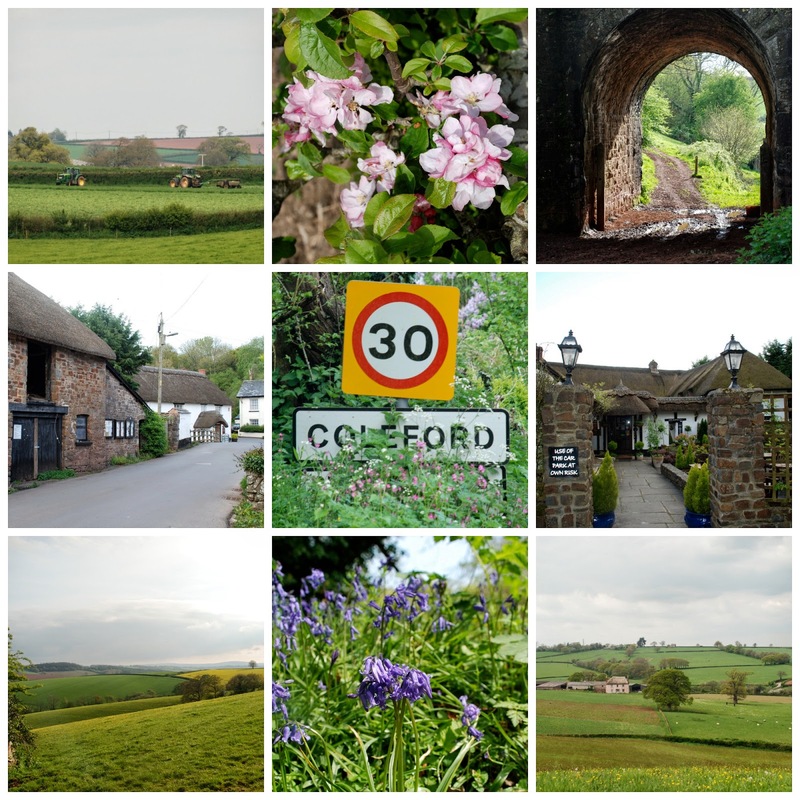 You can find it in Coleford, a tiny hamlet set amidst the rolling, green hills of Mid Devon. It's a picturesque, timeless sort of a place. In the old days it used to be on the main road, but these days it's an out-of-the-way spot that you're unlikely to stumble upon by accident. They say that King Charles I passed through on 27th July, 1644 when the English Civil War was raging all around. He's supposed to have reviewed his mounted troops standing on the porch of the house at the end with the lamppost outside, and then he was on his way to spend the night down the road in the neighbouring village of Bow. What's in a name? Who cares if the New Inn isn't that new? It's a fabulous little watering hole that looks like a traditional country pub and acts like a traditional country pub. It isn't one of those pretentious gastro pubs without a soul where they serve up fancy-pants continental-inspired food on weirdly shaped plates. 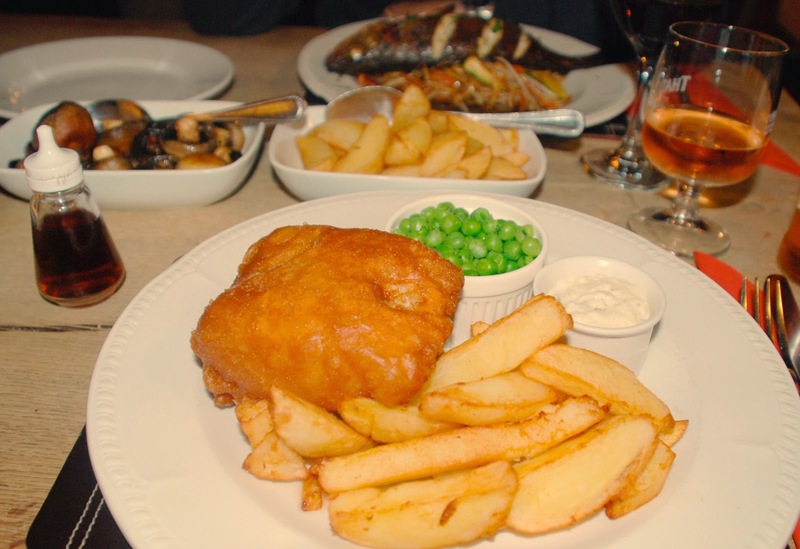 The food is wholesome British fare, and full-on delicious at that. They source most of their ingredients locally. There's Clannaborough red ruby beef from a farm just 2 miles' away, Creedy Carver ducks from another farm 5 miles in the opposite direction, best Devon sausages from a rare breeds farm in the Exe Valley, fresh mussels from the Teign and Exe estuaries, crab from Brixham, seasonal salads and vegetables from West Country farms and, most wicked of all, Devon clotted cream in the desserts. We tend towards the wine menu rather than the ales and beers, but they hold a Real Ale Casque Award and stock a selection of local ales on tap such as Stag Ale from Exmoor and Dartmoor Ale. You can even bring your dog to dinner if he's a well behaved pooch. What's not to like? Nothing. That's what. We've been coming here for years. We rock up when we can't face cooking at home. The landlord and landlady, George and Carole, are terrific hosts. We've spent a New Year's Eve in here partying. 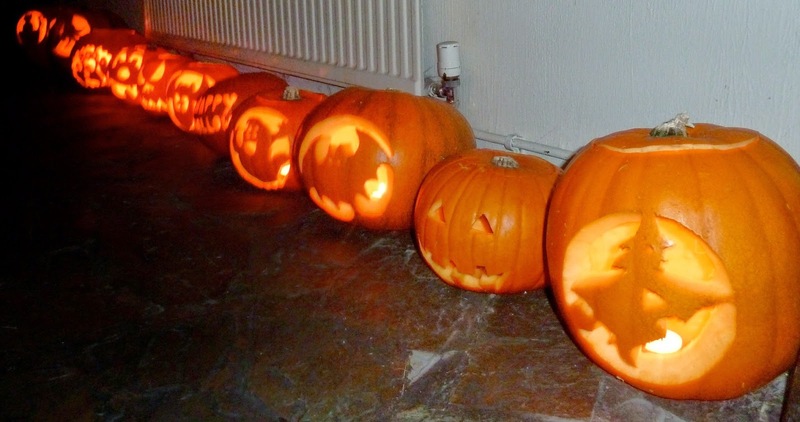 We've come to celebrate Halloween when they put on a spectacular display of carved pumpkins. When friends come down from London this is where we take them to see an authentic West Country pub. This is our local, and it always feels friendly, comfortable and welcoming whatever the occasion, whatever the weather. In the cold depths of winter they've got a cosy fire burning inside, and for those balmy summer nights there's a terrace outside with a little steam running by, complete with weeping willows and a pretty little garden. If you're lonely they've even got an Amazon Blue parrot called Captain that you can talk to. He holds court beside the bar and greets all comers with a loud "Hullo". On the last Friday of every month from April to October they do a special hog-roast, which is epic. The poor old porker is cooked whole on a spit, and served up with all the trimmings. It's usually a buffet service, and everyone in the village comes along and queues patiently to load up their plates, and then the greedy folk sneak back for seconds. The last hog roast of the season is usually a special Halloween party where everyone, guests and staff alike, comes dressed up as a ghoul or a phantom. And, as I've said, they display the most incredible carved pumpkins that I have ever seen. And would you believe it they've even got a resident ghost? This being the English countryside you'd probably feel a bit short-changed if they didn't have one. His name is Sebastian, and the word is that he used to be a monk way back in the old days when he was alive and mortal. I've heard two versions as to how spooky Sebastian met his personal Waterloo. The first is that he overheard a gang of brigands arguing over their ale cups about how they would share the proceeds of their cattle rustling. Sebastian, being a civic-minded chap, intervened and threatened to spill the beans, whereupon they lured him outside and slit his throat to keep him quiet. The second version features Sebastian as a clerical Lothario who had seduced a local girl. Full of passion, one dark and moonless night, he made his way for an illicit rendezvous with his lovely lady, took a wrong turn and tumbled headlong into the little stream that runs through the village. There his ardour was cooled and his life was lost. Although one of the barmaids told me that he didn't die in the stream. He was instead apprehended and put in a gibbet. Whatever the way of it, he's still supposed to hang out in room 3. Some guests have reported seeing him, and sensing a dreadful chill as his shadow passed silently by. Now I must say, for the record, that we have spent several nights in the New Inn when we've had the builders in, and I am sorry to report that Sebastian has never had the decency to show up and give me something sensational to write about. 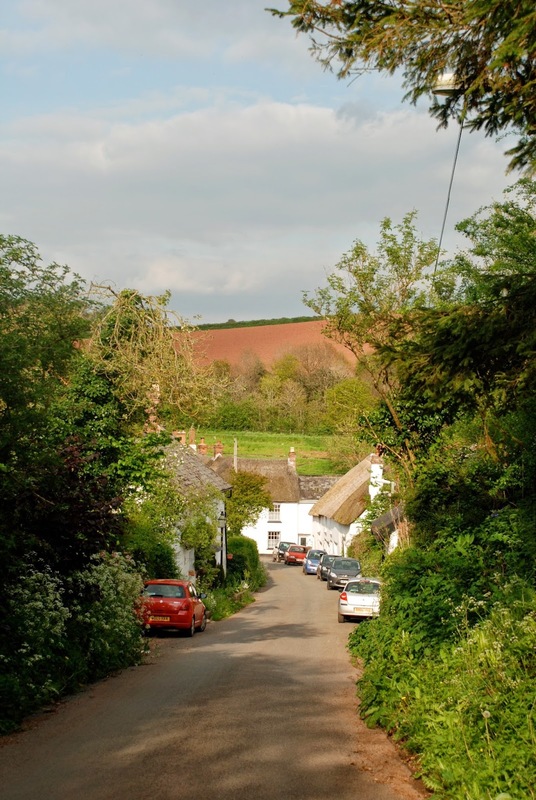 If you'd like to spend the night at the New Inn and link up with Sebastian there are loads of lovely walks that you could go on to work up an appetite for dinner. Just strike out in any direction, and you'll find yourself in wonderful rolling countryside. The Two Moors Way, which links Exmoor with Dartmoor passes close by. You can't go wrong. Have a great time if you do decide to stop by.